The Defense Advanced Research Projects Agency recently announced an innovative new program designed to produce specialized networking security equipment for military-grade wireless technology. The project, called the Radio Frequency Machine Learning Systems initiative, is centered on artificial intelligence capable of evaluating the billions of disparate device signals crisscrossing the radio frequency spectrum, pinpointing those that seem out of place and thus could facilitate hacking. "What I am imagining is the ability of an [Radio Frequency] Machine Learning System to see and understand the composition of the radio frequency spectrum - the kinds of signals occupying it, differentiating those that are 'important' from the background, and identifying those that don't follow the rules," Paul Tilghman, director of the Microsystems Technology Office at DARPA, explained in an organizational news release. "We want to be able to understand and trust what is happening in the Internet of Things and to stand up an RF forensics capability to identify unique and peculiar signals amongst the proverbial cocktail party of signals out there." This initiative could not have arrived at a better time. The Department of Defense continues to invest heavily in IoT technologies. Over the last five years, the agency has poured billions into sensors and mobile devices, according to analysts at market analysis firm Govini. This year alone the DoD is expected to spend roughly $2 billion on information technology and wireless services, most of which will likely go to support IoT efforts. However, despite this push for the implementation of advanced communication technology, the agency lags behind from a data security standpoint. A recent report from the Government Accountability Office revealed that the DoD is ill-equipped to address the "tens of millions" of IoT-centric cyberattacks it endures annually. If the organization does not adopt new defensive digital technology capable of dealing with these threats soon, a significant breach could occur. Unfortunately, implementation is the root cause of this problem. The DoD is, in essence, dragging its feet, according to the GAO. "Addressing the gaps in DoD's plans and timeframes for completing the remaining action will help DoD find and fix any root causes of cybersecurity breaches," the authors of the report summarized. "Failure to implement this objective makes DoD vulnerable to cyber threats that may negatively affect mission readiness and could hinder mission accomplishment." The Radio Frequency Machine Learning initiative signals that accelerated IoT data security implementation efforts might be underway, as the agency rushes to protect the advanced technology for which it has so forcefully advocated . The DoD is quickly integrating IoT technology into its operations here and abroad. While the military is known for producing groundbreaking innovations such as the internet, most combat units continue to use traditional on-the-ground technologies, according to Deloitte. For instance, tactical radios are still standard issue. However, this state of affairs is slowly starting to change. Military branches have begun integrating IoT devices into everyday combat operations, according to the North Atlantic Treaty Organization. And, like normal consumers, service members have embraced personal and professional smartphone usage. The Transformative Applications program, which debuted under DARPA in 2010, is credited with catalyzing the latter development, Gizmodo reported. 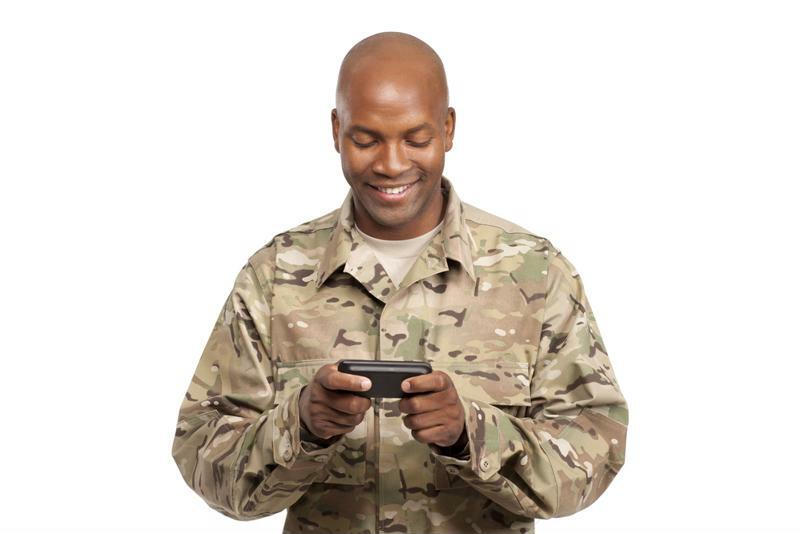 The initiative aimed to develop secure mobile networking stations that military personnel could use on the front lines to gain basic connectivity and use smartphones. The $79 million program distributed its first 3,000 prototypes to service members in Afghanistan in 2011. The program ultimately found sustained success back home and abroad. Soon, military personnel were venturing out into combat zones equipped with secure tablets, while FBI and Secret Service agents did the same in the states. Initiatives like the Transformative Applications program have made IoT devices ubiquitous on the battle field. Even as the DoD encouraged IoT usage among front line units, the agency did little to secure the devices they were deploying in the field. Fortunately, the agency is finally taking action, an internal push made evident by the roll out of the Radio Frequency Machine Learning Systems initiative. The program is designed to produce combat-ready systems consisting founded on four primary technologies: attention and saliency, autonomous radio frequency sensor configuration, future learning and waveform synthesis. If the final product can harness these capabilities together in one package, the military may be able to patch the glaring holes in its IoT data security infrastructure. "If we get this right, we will have radio frequency systems with the ability to discern and characterize signals in the ever-more-crowded spectrum. And that will give emerging automated systems, and the military commanders that rely on them, much needed information to understand the landscape of the wireless domain," Tilghman explained. As DARPA and the DoD move forward with their IoT data security efforts, Perle will continue to provide the networking technology needed to wireless device usage on the battlefield. Our device servers, media converters and terminal servers already buttress key Air Force and Coast Guard connective infrastructure. Connect with today to learn more about our work within the defense industry. 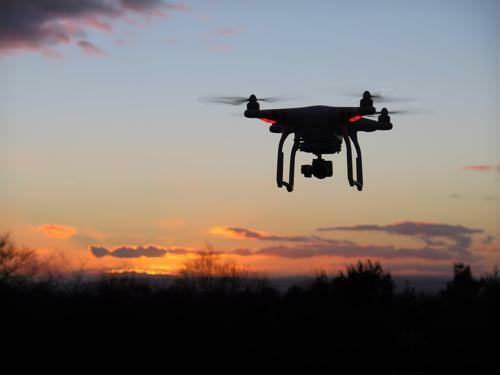 Delivery drones: Gadget or game-changer?